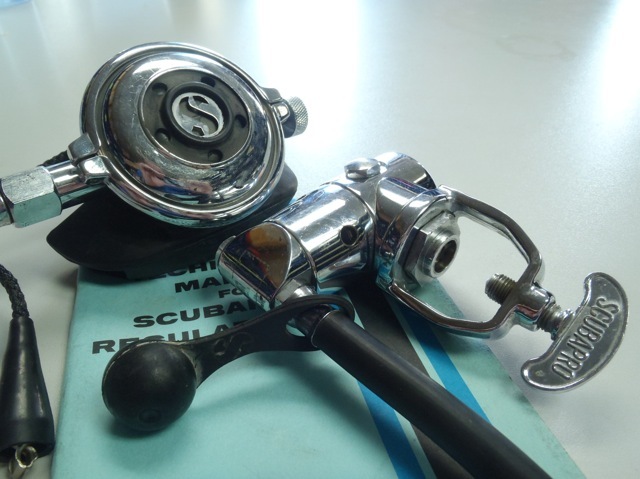 We just received another piece for our Vintage Scubapro Regulator collection which will be on exhibit later this year. Our unit is in very good conditions. it has the original hose, Mouthpiece, Yoke protector and even came with the original manual. The balanced, flow-through piston first stage has only 1 HP Port and 2 LP Ports. The Yoke is designed for only 2250psi service pressure and is much thinner compared to the heavier 3000psi Yokes in use today. 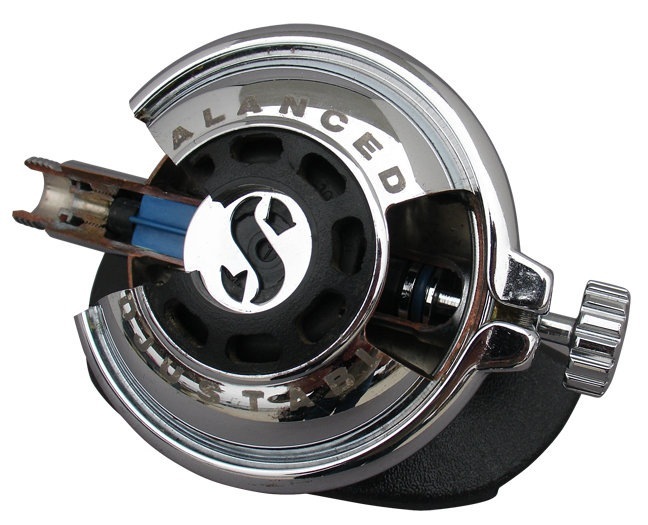 The second stage is unbalanced and has a full-metal housing with rubber purge. The breathing resistance is adjustable. This entry was posted in Uncategorized on July 26, 2010 by pacificadive. I recently downloaded AIR DEPTH, a simple and useful app for the iPOD TOUCH and iPHONE. The free application allows to calculate MOD, BEST MIX, EAD etc. for Nitrox. Functions are self-explanatory and it is very handy during classes or when preparing a dive. The 0.99US$ full Version “DEPTH GAUGE” includes Helium and makes it suitable for the far more advanced diver. This entry was posted in Uncategorized on July 12, 2010 by pacificadive. 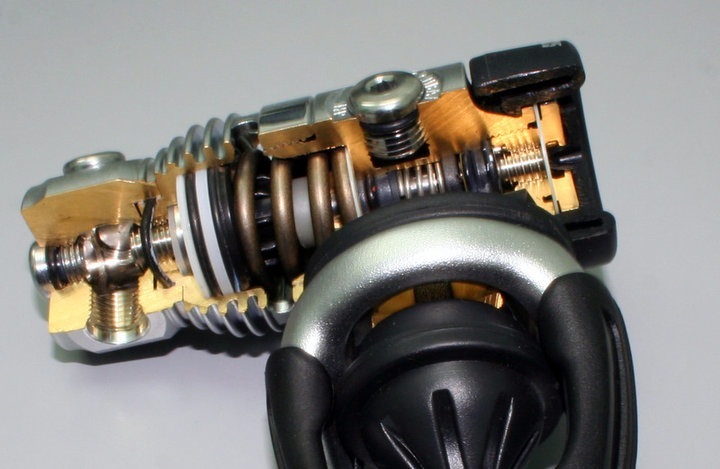 Here pictures of two more Scubapro skeleton regulators models. It is a very reliable model which was discontinued just a few years back. The reliable and robust Metal-Housing Design was reintroduced in 2009 with the new A700. This entry was posted in Uncategorized on July 11, 2010 by pacificadive.